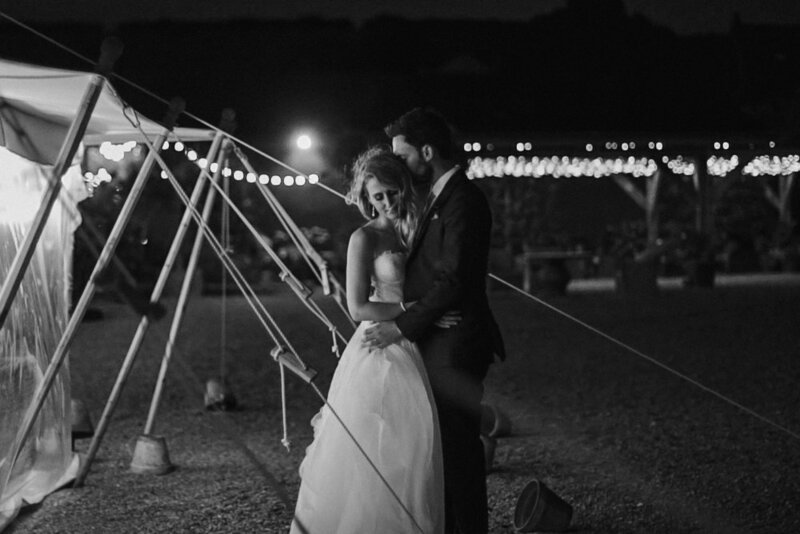 Back in July we shot this beautiful wedding in the English countryside, at West Axnoller Farm in Dorset. We had a lot of expectations as we felt a strong connection with the couple. I have to say, this is one of our best experiences so far! We thoroughly enjoying being part of their elegant wedding and check out how emotional it was! I could be talking lots here but prefer to let the video talk! Below, if you want to get to know this lovely couple better, check out the writing that follows, in their own words! Also, it’s always fun working with good friend and talented photographer Ben Higgins! Much love! We were originally wanting a destination wedding as we loved the look of Tuscan/Como weddings and had been living by the ocean Ian Australia. But we realised having as many family and friends attending was actually our main priority so when we found Axnoller with the 360 views and the pools we fell in love with it. We are both Event Producers so it was a fantastic venue to create the wedding weekend of our dreams. I can’t actually remember how we came across your work, but the first video I remember loving was an English couple who lived in NY married in Wiltshire I think, it was so beautifully shot, it captured all the emotion of their words and their story, and all of the fun of the day, the dancing and how it involved all the guests so much and not just focusing on the couple, that one caught my eye and made us contact you. We worked at the same agency, and then Katie was my junior, and there it all began ! (but took years until we finally got together). Why did you choose each other over anyone else? : Ryan: She has made me laugh everyday since meeting her, even on those crappy days we all have. She’s beautiful, so so kind and I have never before in my life been able to imagine forever with anyone else. Each other so much and I think that really shows. How do you think your partner makes you better? : Ryan: She helps me make sense of myself in a way I never have before. I’m finally relaxed and happy and not so anxious and stressy. Why are you marrying each other!?! :-): Ryan: Because I honesty couldn’t spend a day of the rest of my life without her. Everyone says it, and I hope it’s true for them too, she’s my best friend and I just can’t wait to be married and spend forever together.